Bill Hupp is the RTC correspondent for the Horizon League. Follow him on Twitter (@Bill_Hupp) for his thoughts on hoops, food, Russian nesting dolls and life. Cream of the Crop Rises: It’s only mid-December, but don’t let the overall records fool you: The conference cream of the crop has already risen to the top. There is a clear division between the upper and lower halves of the Horizon League in 2011-12. Some teams (Milwaukee, Detroit, Butler, and Valparaiso) chose to test themselves before conference play begins. With Butler having a down season, a conference crown is there for the taking and each of these schools is hoping that their tough-minded scheduling philosophy pays off late in the season. UW-Milwaukee Pushes Wisconsin: Playing in front of the largest regular season home crowd in school history at the U.S. Cellular Arena in Milwaukee, the Panthers went on a 16-1 run in the second half to cut 17-point deficit to two. But Wisconsin hit a few big shots down the stretch to hold on for a 60-54 win. UWM – who were without injured starters Kyle Kelm and Ja’Rob McCallum – dug themselves a hole in the first half after they shot just 30% from the field and made seven of 17 free throws for the game. Tony Meijer scored all of his team-high 15 points in a seven-minute stretch in the middle of the second half. Return of the Titan: 6’10’’ center Eli Holman returned from an indefinite suspension and played in his first two games this past week. Though he didn’t start either game, Holman dunked his way to 21 points and snagged seven rebounds in his season-opener against Western Michigan and then went for nine and nine (points and boards) in the Titans’ loss to Alabama. Coach Ray McCallum Sr. seems to be making Holman earn his way back into the starting lineup, which is probably smart for the sake of team chemistry. Detroit survived a tough non-conference schedule without him including a nice win over St. John’s, but a low-post force like Holman is a rarity in the Horizon League. With him, the Titans should challenge Milwaukee and Cleveland State for conference supremacy. Jimmy Lemke of PantherU.com is the RTC correspondent for the Horizon League. You can find his daily ramblings @PantherU or @JimmyLeMKE on Twitter. Last season, the Horizon League put four teams in the postseason — can it do it again? Eli Holman’s Leave of Absence: The Detroit big man is easily the best returning post player in the H-League, but whether or not he will return is a big question. Holman was placed on “indefinite leave” from the team at the end of September to handle some legal issues drawn from an incident at a fraternity house earlier in the month. Big Ten fans will remember Holman as the player who left Indiana after getting into a confrontation with then new coach Tom Crean. Without Holman, the Titans have a big hole in the post and would have to rely more heavily on Nick Minnerath and LeMarcus Lowe to pick up the pieces of a broken inside game. They still have some of the best talent in the league, but without that dominant force, who knows what they’ll get. Kaylon Williams In Trouble: Milwaukee got some bad news as well, with starting point guard Kaylon Williams getting pulled over in Iowa and blowing a .228 BAC. What makes matters worse for Williams is that he fled the scene on foot, although he was picked up shortly afterward. No official word has come down from the university on punishment besides a short statement from head coach Rob Jeter. “We are aware of the situation involving Kaylon Williams. We are disappointed and will take appropriate action as we gather more information and the legal process runs its course.” This is Williams’ first offense and it is unclear how much, if any, time he will miss. Last season, Milwaukee had difficulty with Williams off the floor, but prepared for further uncertainty by recruiting junior college player Paris Gulley and high school point guard Shaquille Boga. Butler’s Back Again: Obviously, the college basketball world is familiar with the recent NCAA Tournament dominance of Butler. “Familiar” might not be the word; “obsessed” may be closer. 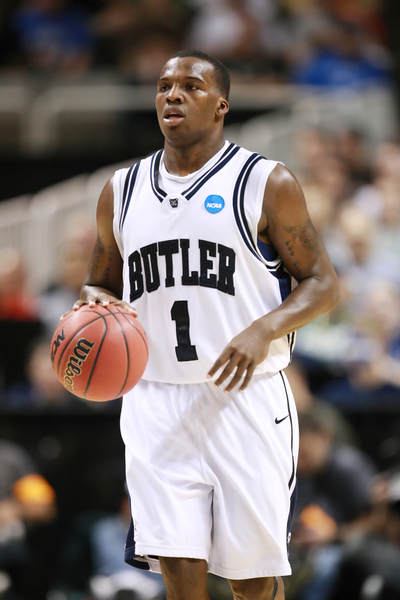 In any case, Butler came a 50-footer from the title in 2010 when no one thought they would make it. 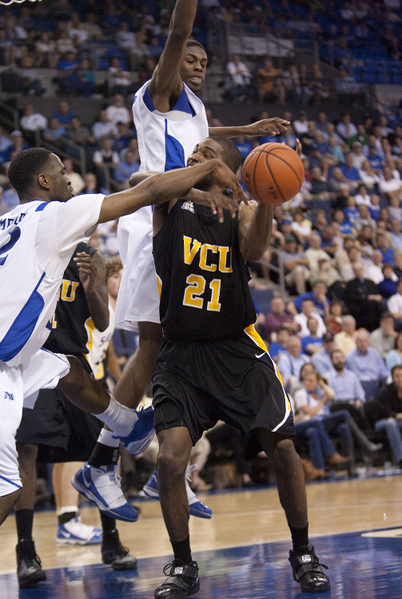 They suffered a poor shooting night in 2011 to keep the Bulldogs from that elusive title when no one thought they’d be back. Is it so crazy to say that they could make another run to the Final Four? The answer is yes. While losing Gordon Hayward and some key players from the previous year’s team didn’t spell the end for them in 2010-11, 2011-12 will be a different story. 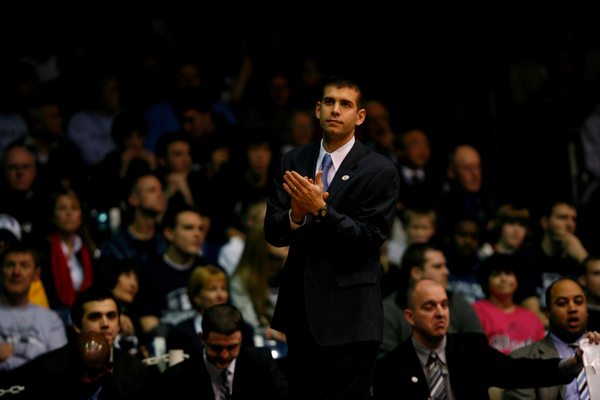 Forget Shelvin Mack, Hayward, and even Brad Stevens. To me, the one person that deserves the most credit for both of these runs is Matt Howard. We all knew from day one that he was a special player, and what lack of NBA athleticism (he’s still athletic) he had was made up big time in his skill, determination, and intelligence. To me, he’s the best leader-by-example in basketball that I have ever seen, and his graduation means someone else at Butler will have to try and pick up that torch. You can replace Shelvin Mack’s scoring and Zach Hahn’s knack for the timely three-pointer, but you can’t replace Matt Howard’s… Matt Howard.